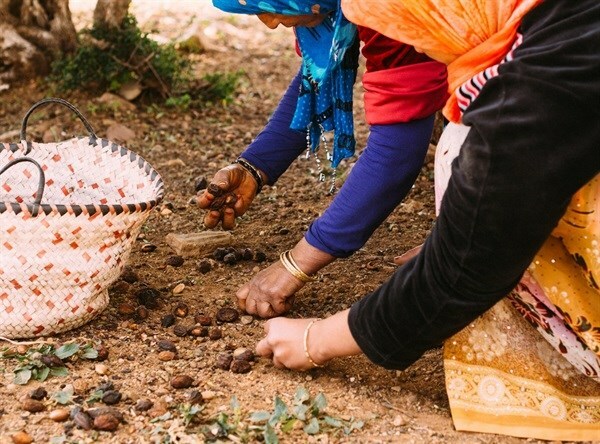 Working as a buyer for ethical handmade cosmetics company Lush, your travels could take you sourcing neroli oil in Tunisia, blue chamomile oil in Hungary, benzoin resin in northern Laos and shea butter in Ghana. Guiding the expedition is Lush's ethical buying policies, which are rooted in animal welfare, workers rights and environmental conservation. The company supports Fair Trade and Community Trade, is an active campaigner against animal testing and is working towards creating a regenerative supply system that gives back to communities more than it takes away. 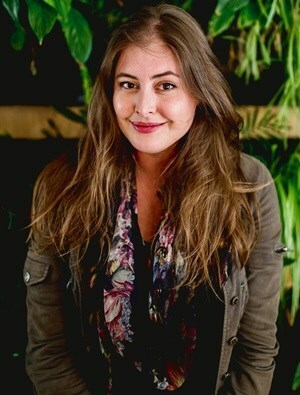 Here, SA-born Lush UK buyer Gabbi Loedolff speaks to the importance of transparency and collaboration in the supply chain, provides insight into the company's sourcing strategy and shares what she loves most about being a 'Lushie'. What are the challenges associated with working in an ‘ethical’ buying department? We call our approach to supply chain management ‘creative buying’; we find creative solutions to complex challenges, looking beyond the lowest price and bottom line to buy top quality ingredients in a way that has the maximum positive environmental and social impact. With a growing business that operates at a fast pace, it's a challenge to ensure we are meeting the needs of the business while upholding the ethics and working towards our long-term goals. Ensuring we are always adhering to our Non Animal Testing policy is the starting point. We don't buy ingredients from companies that commission or conduct animal testing. With companies merging and bringing new products to the market, we need to ensure our suppliers continue to be compliant with our policy. We are constantly looking to have the most positive environmental and social impact possible through our buying. We need a broad overview of the materials we buy and our sourcing is never done – we're always reviewing our supply base to see if there are further ways to drive improvements. We are looking to move beyond the concept of 'sustainable', which is essentially keeping things as they are, towards 'regenerative'. Many systems are already so degraded that keeping them as they are is not enough. When we talk about working towards environmental and social regeneration, we mean creating systems that give back more than they take. 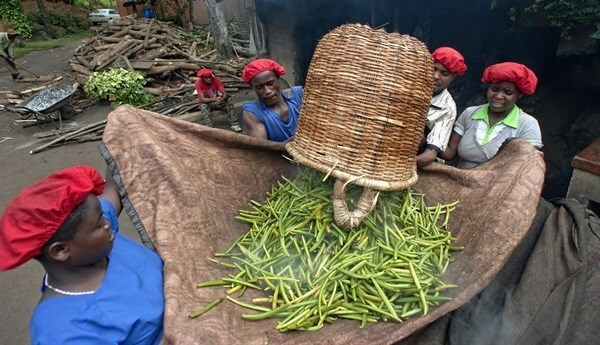 This is a constantly evolving process as there are always ways to further improve our sourcing and supply chains. We need to keep up to date with developments in the wider industry and keep building our expertise in appropriate technologies, sustainable agriculture and similar to apply to our remits. Communicating the work we do can be challenging too – we are dealing with complex issues in depth and need to find clear, succinct ways to communicate this and the challenges that arise in a way that is accessible and transparent. In your opinion, what are the cornerstones of an ethical supply chain? Transparency and a collaborative approach. Ethical supply chains should benefit all parties involved and be based on considerations beyond purely financial. Working directly with growers and producers, or working to ensure transparency from start to finish in more complex supply chains enables informed decision making. The more transparent a supply chain is, the easier it is to highlight best practices and areas for improvement. It is crucial to create systems and relationships where any challenges or concerns can be addressed in a collaborative, honest way to reach the best outcomes for all parties. When you have established relationships, trust grows and can enable open and constructive dialogue. All parties benefit from the ongoing success of the different actors in the supply chain and working together to create systems that work for all parties is vital. As a company, setting clear expectations and standards for supplier relationships is very important. We have a huge scope for (positive) environmental and social impact through where we choose to spend our money and also to influence the way companies (suppliers) operate. Trade needs to be fair - in order to ensure our long-term supply, we need to ensure we are paying our suppliers fair prices and paying invoices on time. 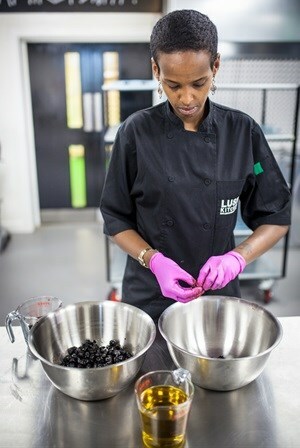 Lush sources an array of natural ingredients from suppliers across the globe. Tell us about this sourcing process and how suppliers are vetted against greenwashing. Our sourcing is never done; there is always room for further improvement. There are a number of different ways we go about sourcing ingredients. In some instances, we'll get a request from the product creators for a specific ingredient. In this case, we'll research where it's grown, work with our existing networks of suppliers to see if someone is able to supply a sample. If not, we'll look for suppliers that stock the material to get initial samples. Other times we might come across interesting new ingredients while out visiting suppliers and bring these back to the product creators to offer some inspiration and see whether they are interested in using them. For all of our sourcing, the Non Animal Testing declaration is the first step. All suppliers must be compliant with our Non Animal Testing policy that ensures our suppliers do not conduct or commission animal testing. The declaration is completed by all suppliers at the start of our relationship and then again annually, where our policy is independently verified by Ethical Consumer Research Agency to ensure we are upholding our Lush policy! For materials that are considered to have risks associated with them, for example cocoa and the risk of child and slave labour in the supply chains, we will look to use a third-party certification as additional verification that our supply chains meet our policies. All of our cocoa is Fairtrade and Organic certified and we work with specific origins to meet our requirements. Developing strong, long-term sourcing relationships are also key to robust supply chains. We believe in visiting our suppliers and producers wherever we can to see first hand the growing and processing. Visiting not only helps strengthen relationships, but also creates transparency and builds our knowledge and understanding of how our materials are produced. This gives us an opportunity to identify any areas for improvement in collaboration with our suppliers, and work on driving further improvements. We have a detailed buying questionnaire that we ask suppliers to complete that focusses on environmental, labour and growing practices (where relevant) which helps us build a better overview of the companies we work with. We can refer to this as a baseline when visiting to see how the practices on the ground compare to the answers. If there are any areas of concern that we identify either when reviewing the questionnaire or when visiting, we will address these with our suppliers and work to collaboratively create an action plan to bring about improvements. All our buyers do training with the Ethical Trading Initiative on best labour practices for ethical supply chains based on the ILO Core Conventions. This provides a strong foundation for setting standards and assessing our supply chains from a labour rights perspective. What would you say are the key ingredients of a mutually beneficial supplier-retailer relationship? Respect, transparency, flexibility and collaboration. The ability to collaborate to innovate and create solutions that work for both parties is key. I believe that our suppliers are crucial to our success and ability to meet the needs of our business; we benefit from their expertise and skill as much as they benefit from our business. What do love most about working for Lush? At Lush, ethics are not imposed through a CSR policy, but instead are the integral building blocks around which the company was formed. Working for Lush, you are truly able to make your passions your job – there is not a set career path employees have to follow; the opportunities to combine your interests with the evolving needs of the business are endless. As a buyer for Lush, you are learning every day. We work with a lot of autonomy and it really is a role where you can make a difference, not just within the business but on a much wider platform. Being able, and encouraged, to visit our producers to learn from them, share our knowledge and identify further opportunities for the future is an amazing privilege. I love working for a company that really cares. Not just about the bottom line, although of course we do need to make a profit to be able to do the things we do, but about the environment, people (internally and throughout our supply chains) and animal welfare. Lush is a campaigning organisation that uses its physical (shops) and digital (website, social media channels) platforms to raise awareness of issues that we believe in. Shop Lush online and connect with the brand on Facebook, Twitter and Instagram.